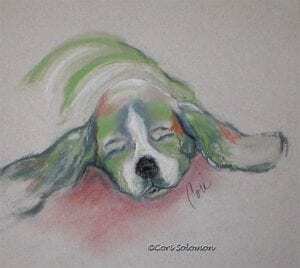 This drawing of a Basset Hound was one of a series of 5 drawings that I used to warm up. It was created with a fluid line where I was using gestural movements to create the image. This artwork is frame and matted.